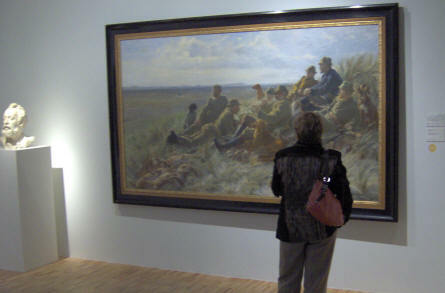 The Art Museum ARoS in Aarhus is today one of the most important art museums in Denmark. 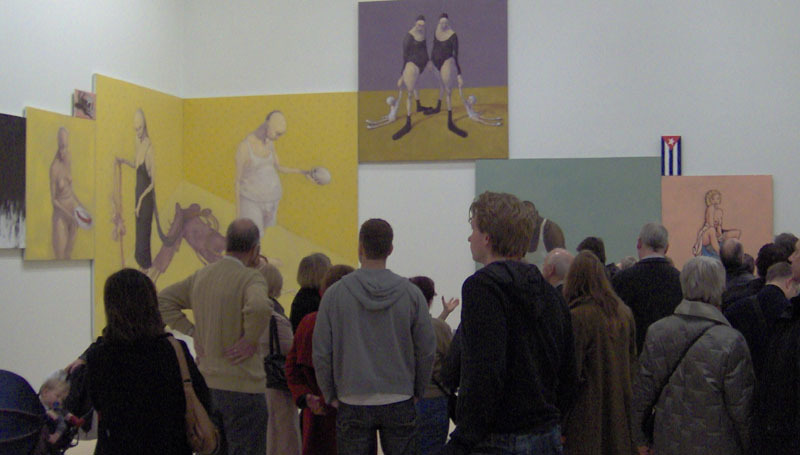 The museum was opened in the 2004 and has since had a huge success with both traditional art exhibitions, but also some very special and provocative exhibitions. The museum is placed in the heart of Aarhus - the second larges city in Denmark. 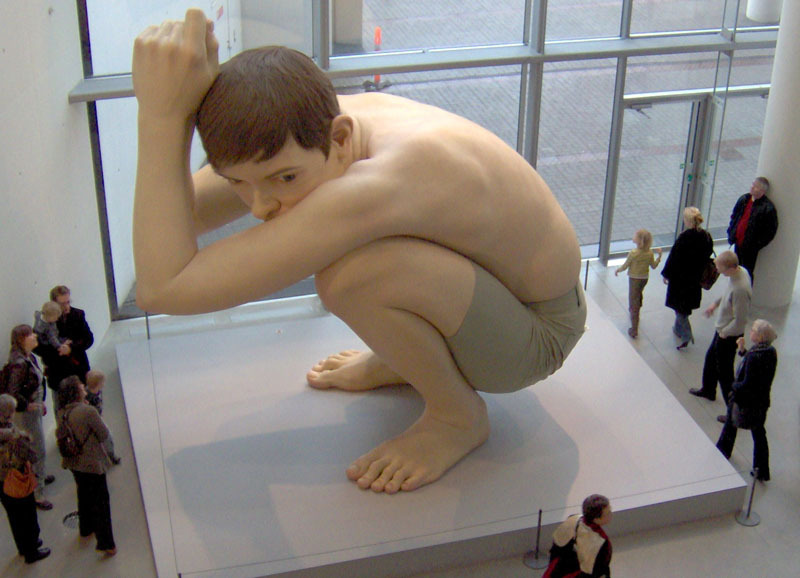 "Boy" (by Ron Mueck) is one of the main attractions at ARoS. 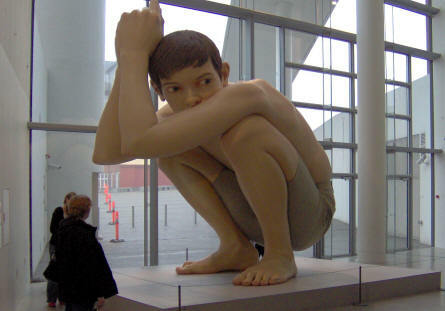 "Boy" at ARoS is perfect in all details. 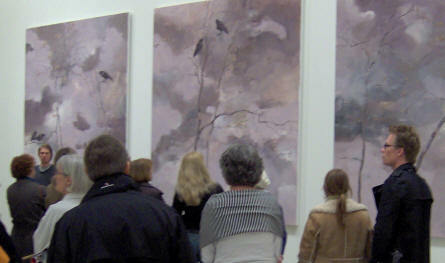 One of the temporary exhibitions at ARoS in 2006.
a part of the permanent exhibition at ARoS.